Hello everyone! This weekend marked the 3rd blogiversary of my little blog. When I first started it, I really had no idea what I was doing. I had been following a couple of book blogs, to get recommendations and I thought, what a fun way to share the love for books. I didn't know what a proof was or that NetGalley existed. I just wanted to spread the love. To tell you the truth, it's what I still want: to spread the love for books and reading. But I have to say that in the last three years I have discovered that blogging is a lot more fun and social than I had first thought. So to celebrate another year blogging about books and all things bookish, I have invited several authors and fellow book bloggers to share with us a Top Three of favourite things: books, authors, movie adaptations, genres... Stay tuned for all these guest posts in the next few days! Today though, I wanted to start the celebration with my own Top Three and a giveaway. My Top Three is all about why I love blogging so much. And there'll be more giveaways in the next days! 1. Interacting with fellow book bloggers and bookworms in general. I had always thought that reading was quite a lonely activity, especially as my close friends when I was a teenager, were not big readers. But thanks to twitter, I have met so many bookworms! I love talking about our latest reads, the releases we are excited about or sharing our enthusiasm for the latest stationary buy! 2. Discovering new books, new authors and new genres. Before blogging I was always waiting for my favourite author's new releases and filled the time in between rereading old favourites. But since then, I have read books I would have never imagined I would have likes, discovered genres I didn't even know existed and basically now my tbr pile is always growing and threatening of falling on my head and bury me in books. Isn't it wonderful? 3. Finally, spreading the love for amazing books! As I said, this is why I started blogging and it's still my favourite part of it. 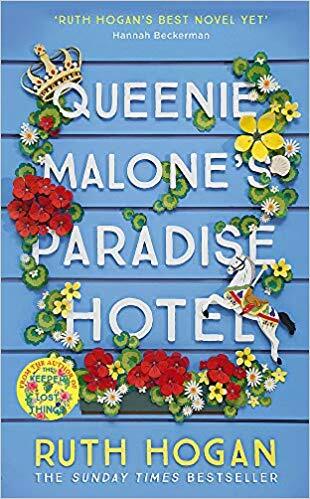 I loved it when I finish a book that took a part of my heart with it and then I shout about it on Twitter, Instagram and the blog and people start telling me they read it too because of my comments! Best feeling ever! And now, time for the giveaway. Today I'm starting with a cute little one. 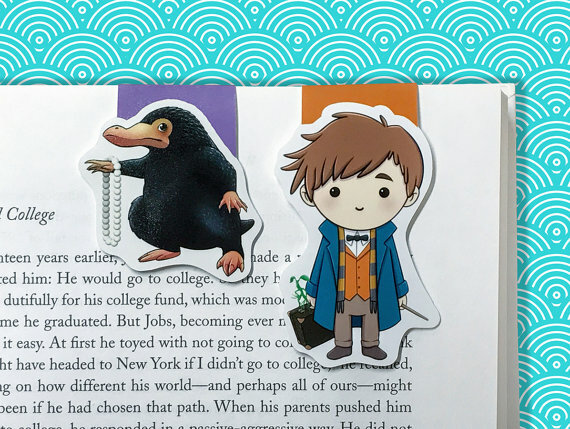 Lately I've been obsessed with two things: nifflers and magnetic bookmarks. So today I bring you a combination of both: a Fantastic Beasts bookmarks set from the fabulous BeedooTo! I have many of their bookmarks and the quality is amazing. Plus, how cute is this one? This Giveaway is open Internationally. The winner will be contacted via email and they will have 48h hours to claim their prize. I haven't watched it yet but i can't wait to! I haven't watched it yet either but I am super excited for when i do have the chance! Haven't watched it yet, so don't have a favorite Best! 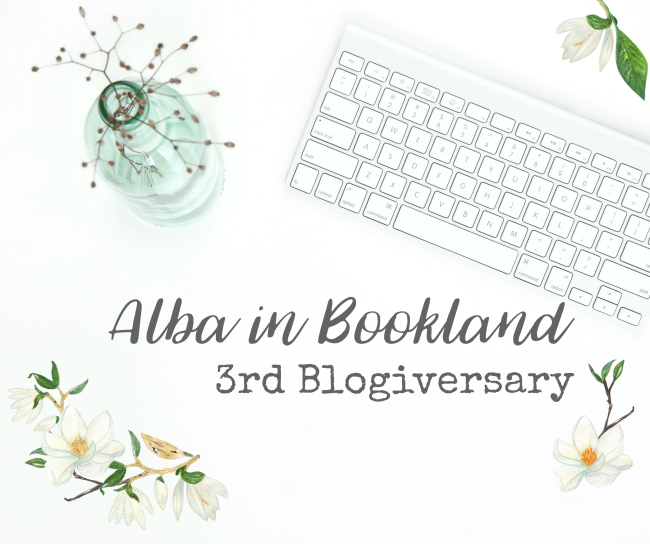 Happy Blogerversary, I can agree exactly about your top 3 best blog things, I have loved meeting all the other book lovers. I haven't seen Fantastic Beasts, but the bookmarks are very cute. Congrats on your 3rd Blogiversary! Yes, I've seen Fantastic Beast. I am awful with remembering names, but my favorite was that big one that escaped, so they had to look for it in the park. Congratulations on your third year. I have not watch Fantastic Beasts yet. Will do when it comes on TV. Wow, well done on your blogiversary. I love the little bookmarks. Keep on sharing the book love. Great movie! Niffler is my favorite. It's so adorable.